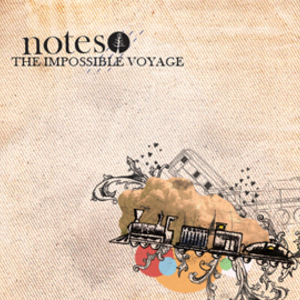 Notes is a band from Tucson, Arizona. Pairing lavish, full soundscapes with projected imagery, the band's live shows are less of a concert and more of a cinematic experience. Using numerous keyboards, the three fulltime members and various alternating members play music often compared to the likes of The Album Leaf or Sigur Ros. In 2006, the band issued the self released "Impossible Voyage," an original soundtrack to George Melies silent film with the same name. The group looks to release another album early next year.